Here is a peek at the autumn painting that I'm currently working on. You can see the progression if you check out this previous post. 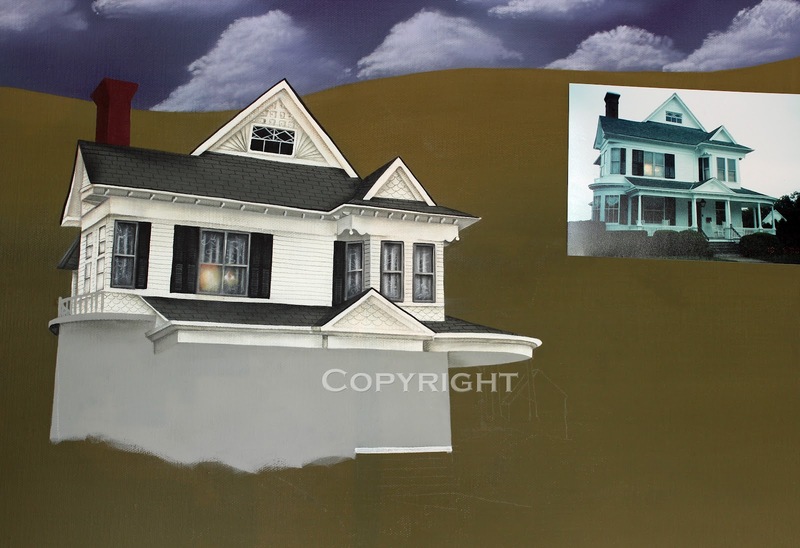 The details in this house are pretty time consuming. Working with acrylics involves waiting for layers to dry and for those of us who are impatient (and don't like watching paint dry), a lot of drying with a blow dryer. 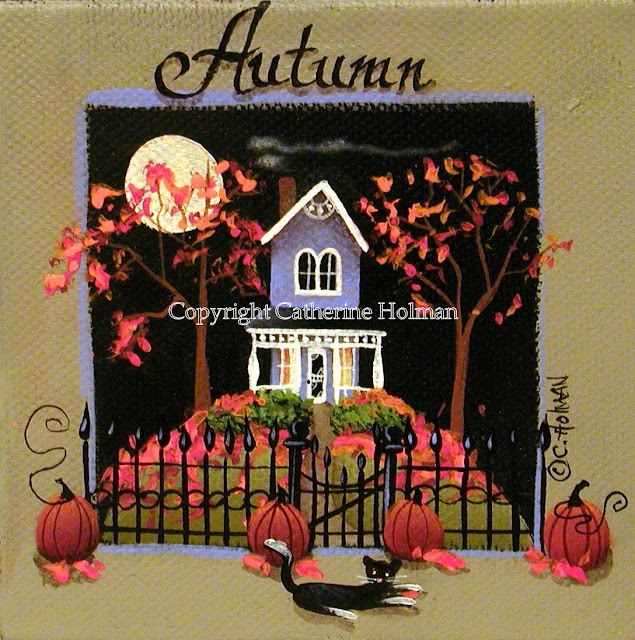 For those of you who are impatient like me, I have a lot of autumn prints in my Etsy store like the one below. Make sure to use the 15% discount code (BLOGREADER11). Lovely autumn paintings1 My favorite time of the year!